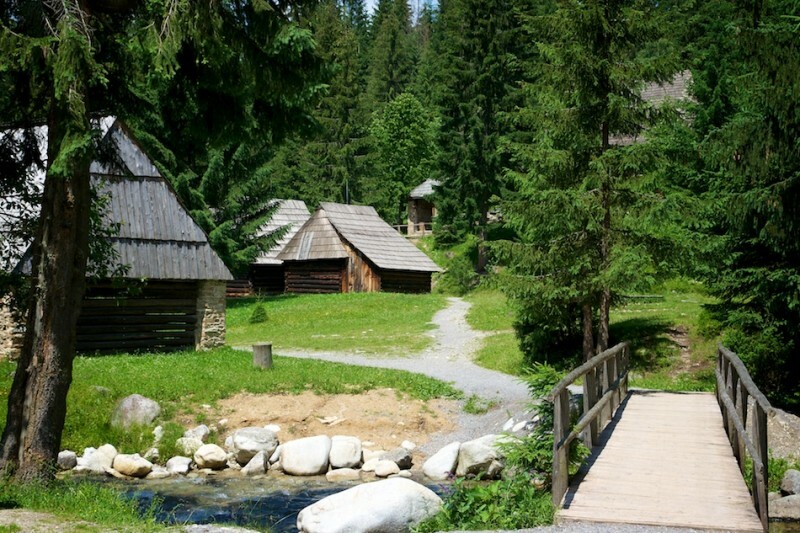 The Museum of Orava village is located on the West Tatras mountains in Rohace . The foundation stone was laid on September 24, 1967 and in 1975 was made public . Originally the site of today cannot be habitable. Most of the property were purchased by the original owners , dismantling , transporting and putting them together in a museum. Then, more houses were built copying the original houses . The museum houses objects Zuberec Orava in the entire region of Orava . The area is divided into several parts: Orava rinok street, Zamagurie’s street, lazy Goral, the church and the Mlynisko’s cemetery . This museum focuses building characteristics of the architecture of the region. Just as a village ‘s residential and agricultural buildings (houses, cottages, cameras, barns…), handicrafts (forges, kilns) and engineering construction ( mill, washboard , wringer , mill) . Undercurrents cold mountain water which is connected to the millstones and washboards . The museum is dominated by the church of wood Alžbety Zábřezí of the 15th century .